South Africa’s Leading International Trade Fair for the Automotive Industry targeting Trade Visitors from the Sub-Saharan Region. 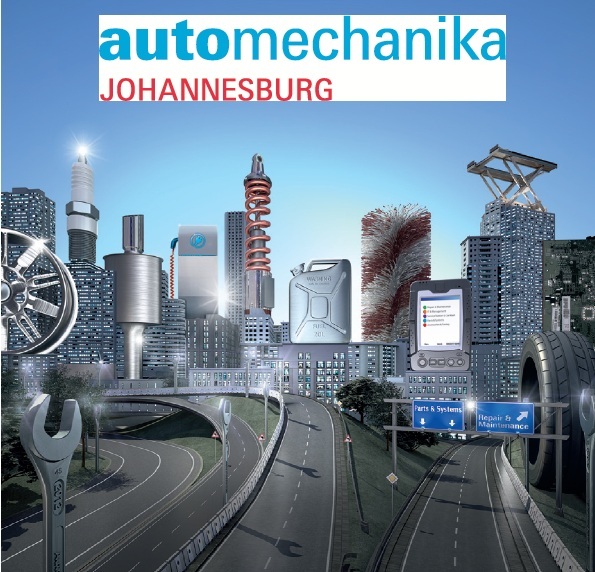 Automechanika Johannesburg offers you a unique spectrum of products from the fields of automotive parts, car wash, workshop and filling-station equipment, IT products and services, accessories and tuning. Automechanika Johannesburg is unmatched in terms of scope and internationality. Around 50 per cent of the exhibitors at the last event came from outside South Africa and it presents a Gateway to Africa. You have the opportunity to be linked with the world’s leading automotive aftermarket trade fair brand if you exhibit at Automechanika Johannesburg when it is staged at the Johannesburg Expo Centre in Johannesburg for the third time on May 8-11, 2013. Automechanika is the world’s clear leading brand among business-to-business automotive aftermarket trade fairs, according to independent research. Much greater emphasis is being placed on the fact that South Africa is the “Gateway to Africa” and targeted campaigns will ensure an increase in the number of potential buyers from African countries. It certainly promises to be a “must do” event for all involved in the automotive aftermarket in South Africa!